Even a simple water feature can take an ordinary deck and turn it into something magnificent. But a water feature fashioned by celebrated industrial designer James Dyson (of Dyson vacuums fame) is bound to be the most unforgettable water feature ever. 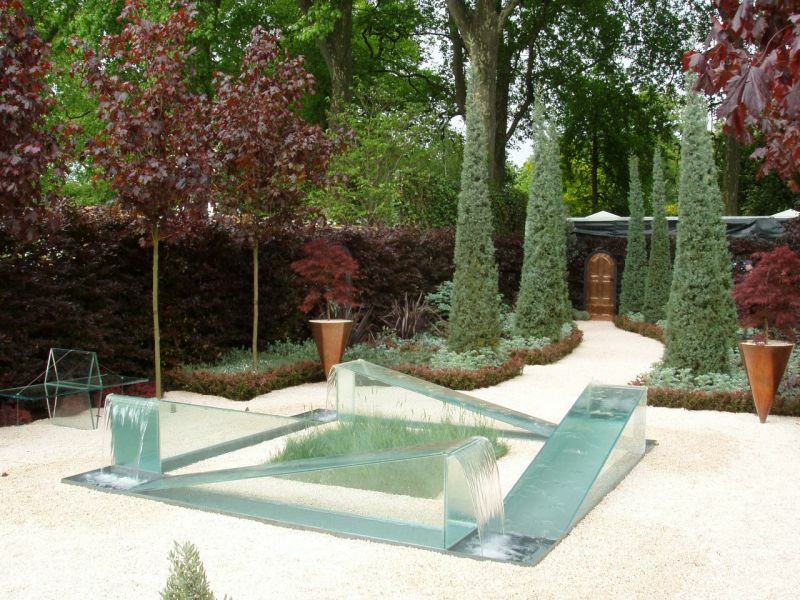 This particular fountain, part of an overall garden design dubbed “The Wrong Garden,” was created by Dyson for the Royal Horticultural Society’s 2003 Chelsea Flower Show. Like everything else designed by Dyson, it accomplishes a seemingly impossible task with highly astonishing style: in this case, it makes water flow uphill. Dyson’s inspiration for the highly unusual outdoor fountain was M.C. Escher’s “Waterfall,” an illustration in which a stream of water seemingly breaks the laws of physics. Likewise, Dyson’s fountain looks like it somehow exists in a loophole where gravity has no control over the flow of water. A constant stream seemingly flows up the long surfaces of four triangular water tanks before spilling off of the highest points. How can that be real, you ask? The secret is deceptively simple: the water is actually flowing inside and through the tanks and being propelled through small openings at the highest corner of the tanks. The stream flowing “up” the tanks is actually flowing down after spilling through the openings, but the illusion is so effective that it is hard to identify the trick even when looking right at it. 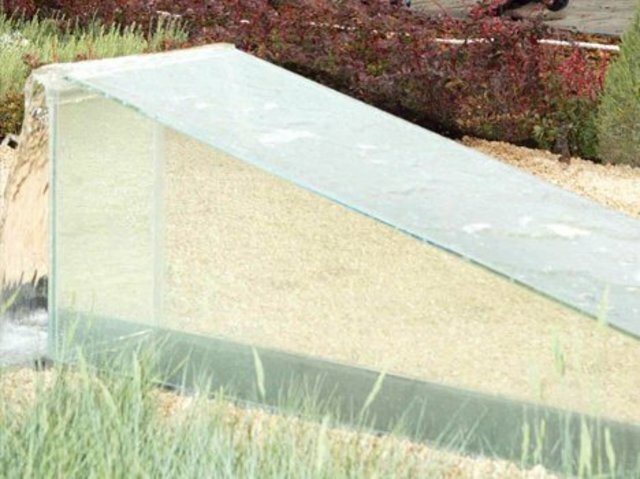 Will we see home versions of this baffling “uphill fountain” illusion anytime soon? People involved in the Dyson project think it could be recreated on a smaller scale, even though they are unwilling to share exactly how the illusion was achieved. Until the vacuum giant starts selling a DIY kit, duplicators are on their own. Do you have any insight into how Dyson achieved this remarkable illusion that you’d like to share?